and this is the last day to enter. 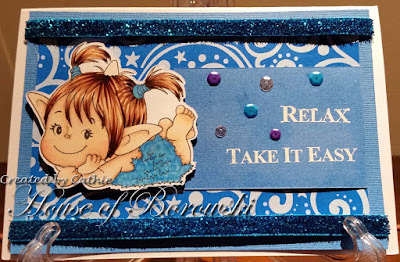 Arlene went a bit crazy with this Banner Card at A Bit of This and That. Monica created a little winter scene in a snowglobe. 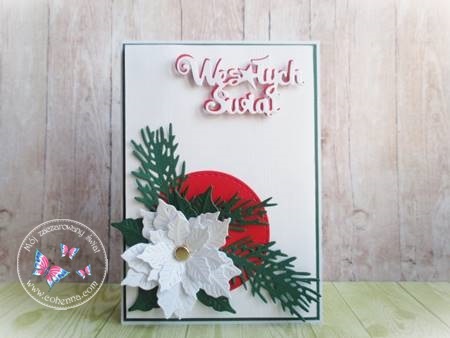 See all the details at Monica's Craft Corner! 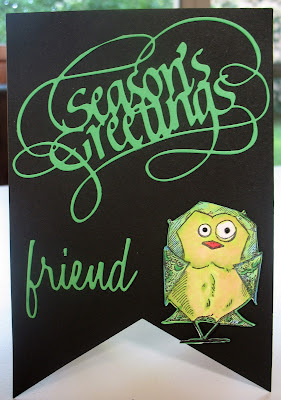 This month's sponsor is The Frantic Stamper and yu can find so much there. I found this wonderful village. You can color it so many different ways. I do have a confession. After I finished coloring it and die-cutting it, I spilled a ton of water on this panel. I grabbed it, shook it and found it wasn't too bad, just covered with water. LOL I was able to rescue the panel. I put a heavy block on top of it and hoped it would dry well. Here is a close-up of the scene. It is quite charming. Well, I think so. Cathie here with some more inspiration for you. 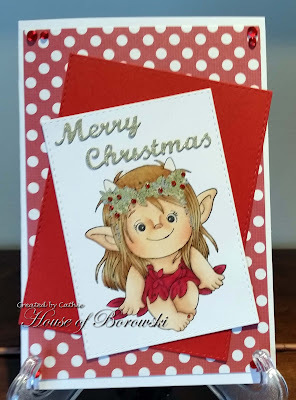 Monika here to share another "Christmas in July" project. 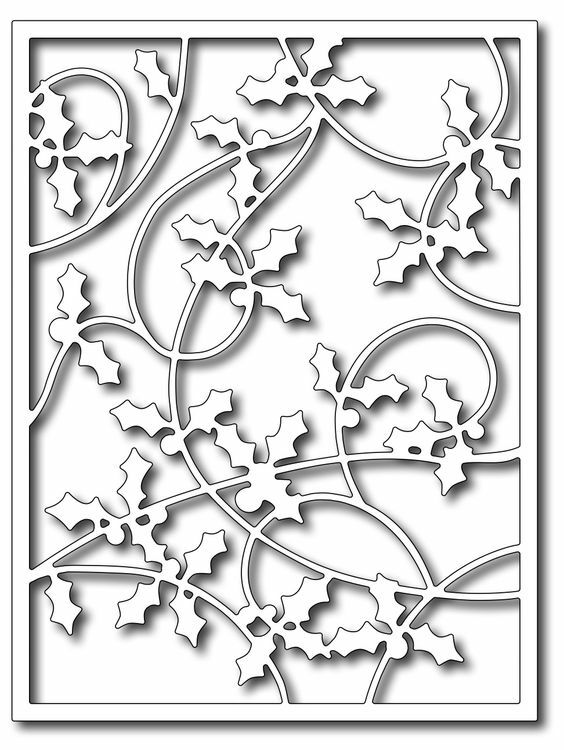 I made a monochrome card. 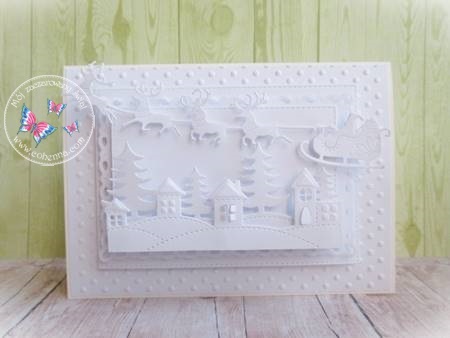 Come and join in to fun and make some "Christmas in July" projects!! Hello everyone! Here is my second card for our Christmas in July challenge. Our wonderful sponsor is Frantic Stamper! If you haven't checked them out yet, please do. They have some many wonderful products on the website! 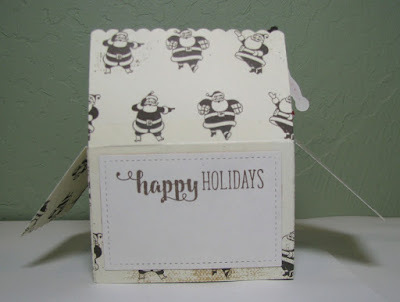 For all the info on my card, please visit me at Monica's Craft Corner! 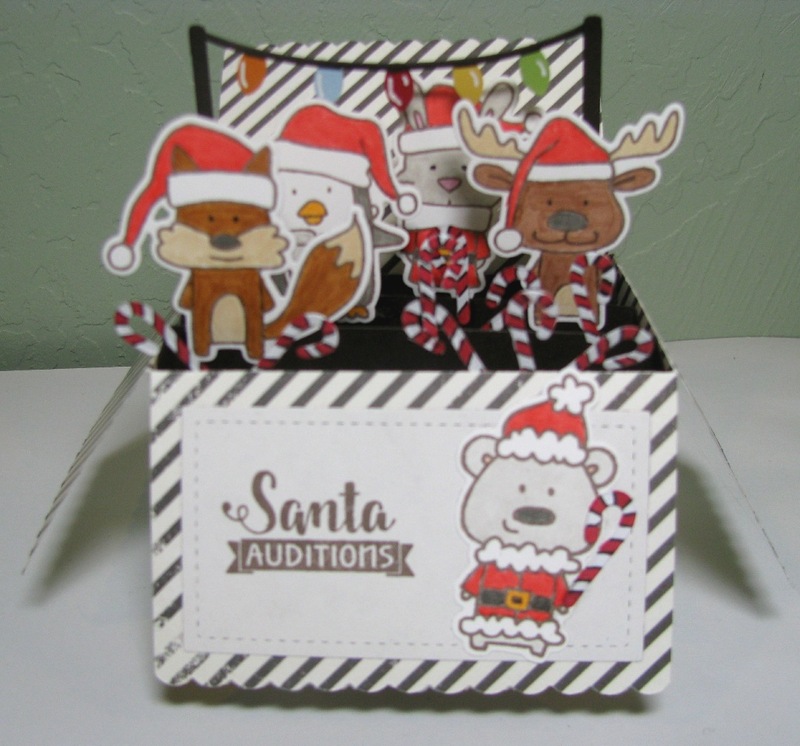 and our theme is "Christmas in July"! This makes me feel cool, even in the middle of our heat wave! 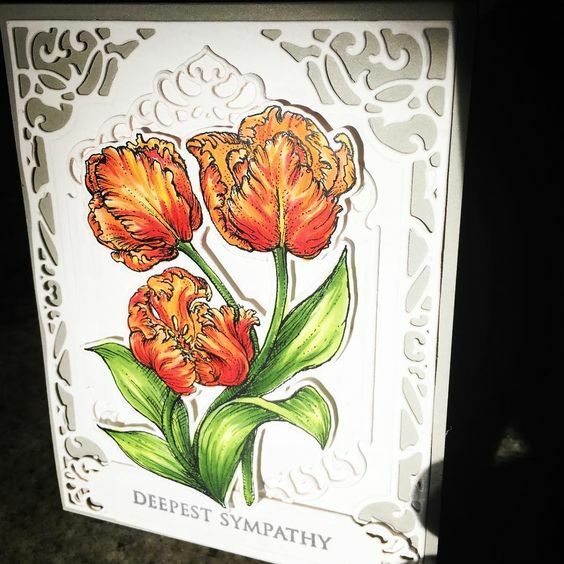 For more info on all the dies I used on this card, you can visit me here. Our sponsor www.franticstamper.com/ has a huge collection of craft supplies. My Christmas card with pretty lady!! Stamping is fun when you have this pretty lady!! 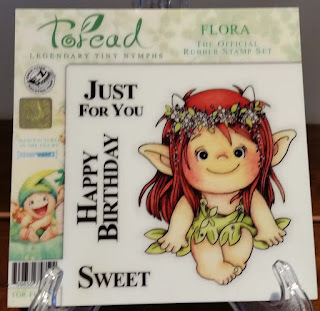 I have used My favorite Stamps and coloured the image with water color pencils. 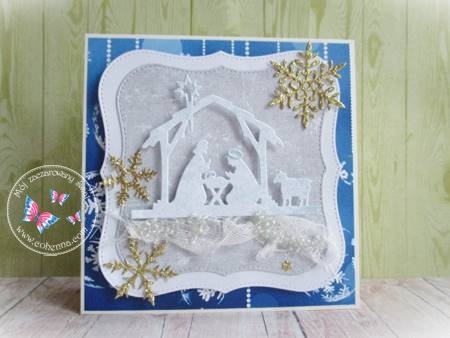 Cute little stars are die-cut with some ting of white glitters on it. We hope this inspires you to create something new and participate!! Hi everyone, Cathie here with some inspiration for you. 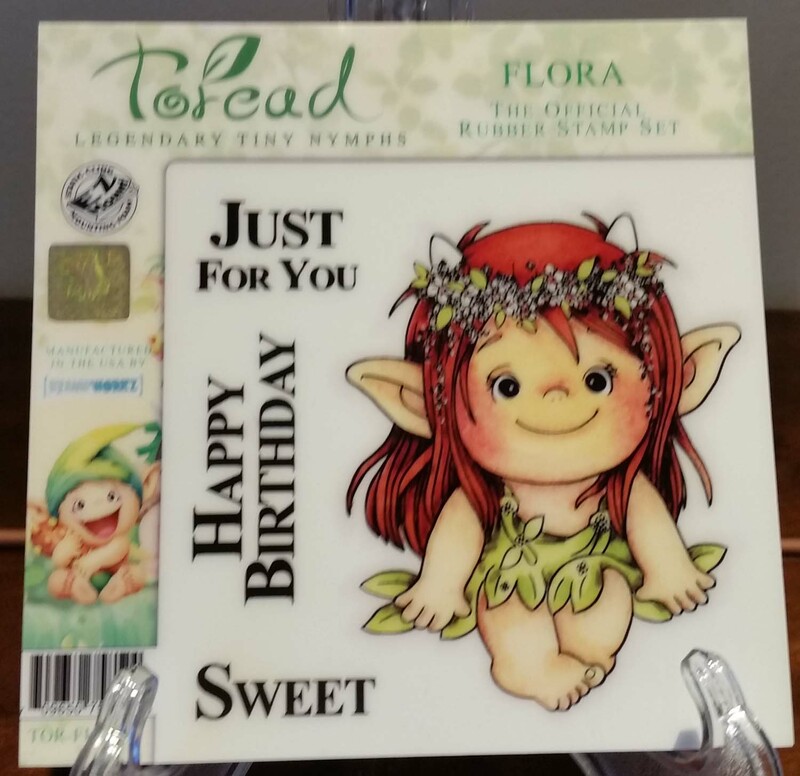 Have you seen these adorable Crafters Companion Stampworks Toread stamps. I happened to go to a retreat where someone had one of these stamps and fell in love with them. Hi Dawn here to share my card today. 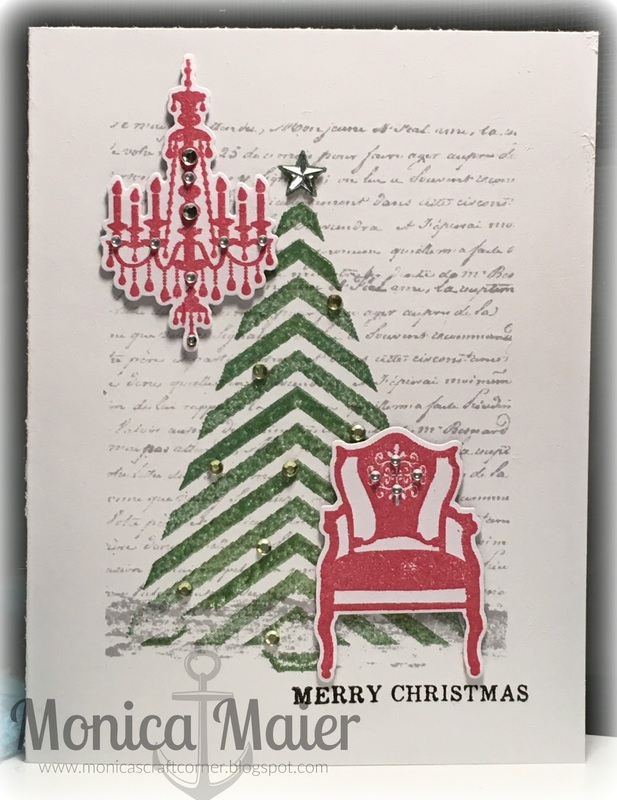 Our wonderful sponsor has TONS of stamps, dies and embossing folders and I used 2 stamp and die sets from Hero Arts that are available at the site. 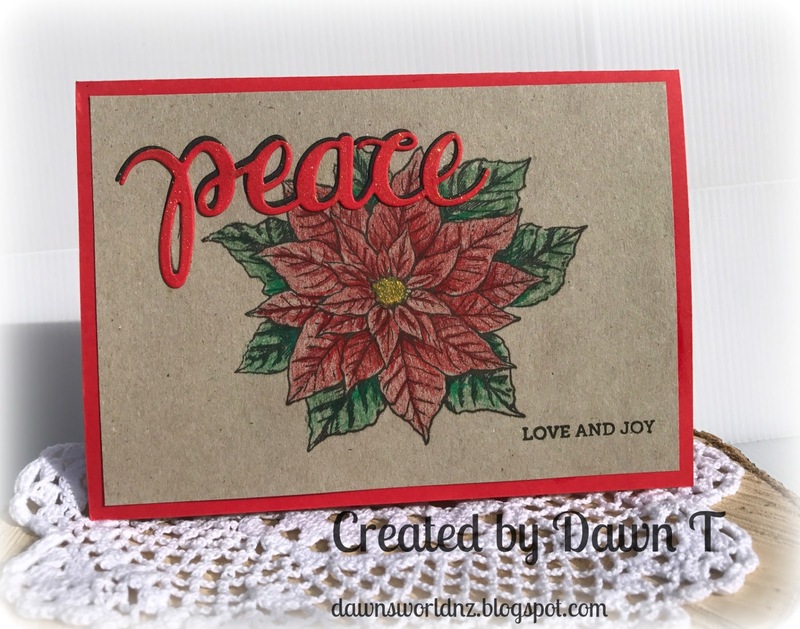 I stamped the Poinsettia (Hero Arts Antique Poinsettia ) onto some kraft card and coloured with my Prismacolor Pencils. I trimmed it and layered onto the red card base. I die cut 2 Peace sentiments.... from the Hero Arts Peace stamp and cut and layer then over each other, slightly off set and then finished off with the rest of the sentiment in the corner. 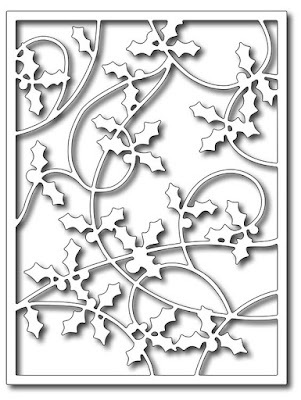 We would love to see your Christmas cards so come join us (HERE) Don't forget to use your Die Cutting Machine to die cut or emboss on your project. I am Soniya here from India. 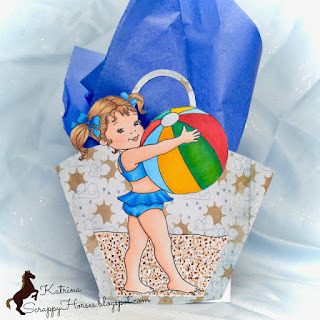 Not to mention that I am super excited to share my card for July month challenge as inspiration. 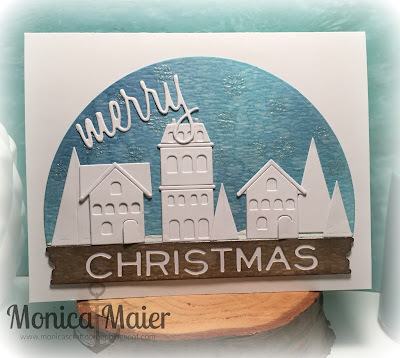 Monica here with my first card for our Christmas in July challenge. 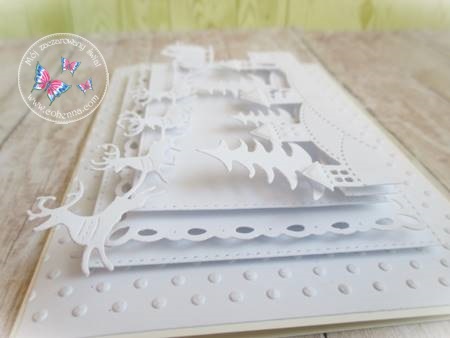 Our wonderful sponsor is Frantic Stamper! 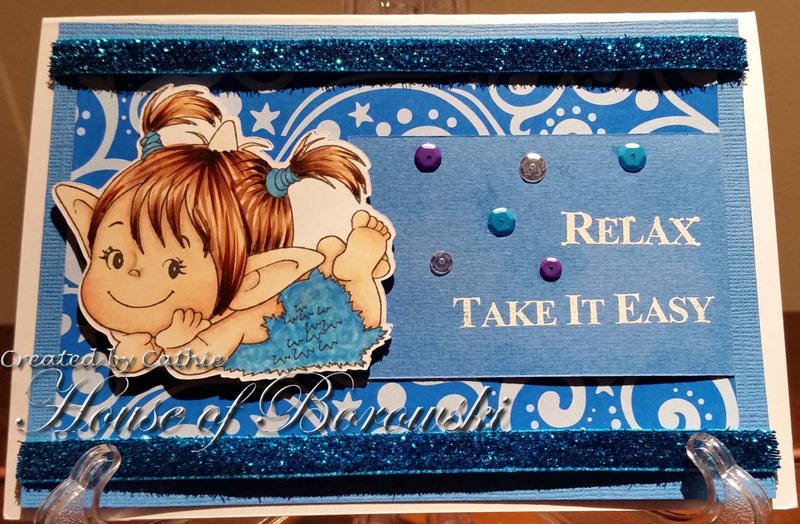 To see the details on the card please visit me at monicascraftcorner. 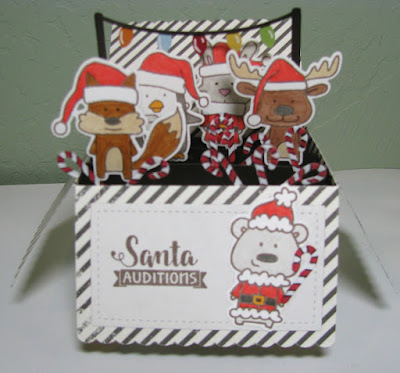 I'm ready to make cards and tags, OH MY. 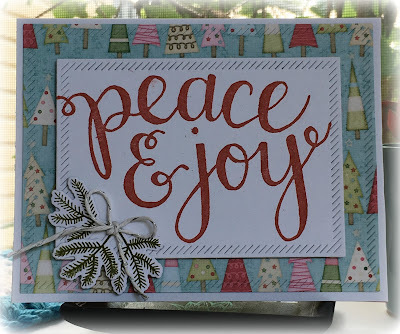 I decided to play with one of my favorite tag dies for the holiday seasons. As you can see I made quite a few. You can take just about any piece of scrap paper and us it as a tag. You can see I was not choosy in my paper choices. But I am happy with all my tags. I did make some of the cards more elaborate than others. 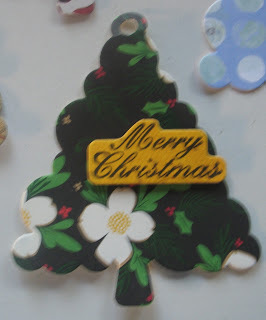 Even flower paper works for a tree. Patterned paper is swell too. 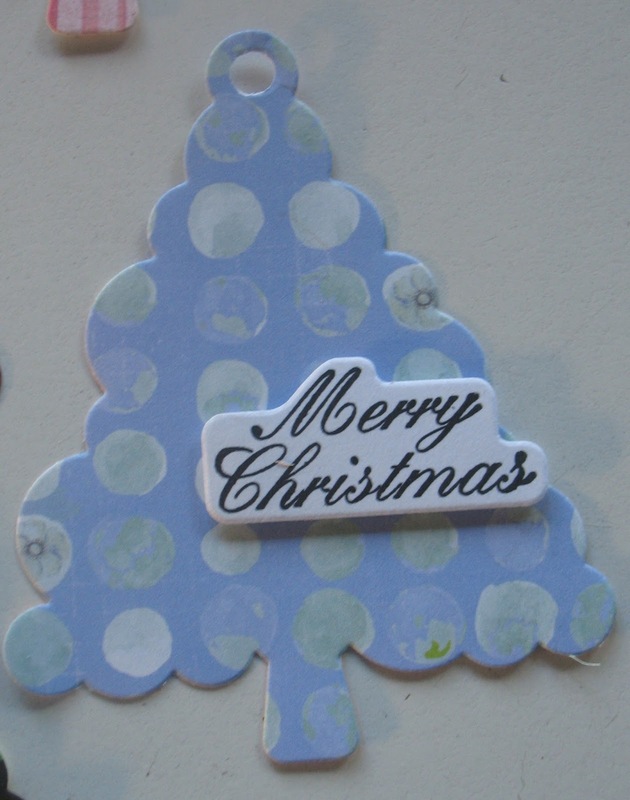 This tree has stamping and die cuts all over the tree. Have fun starting those Christmas cards now. I'm at A Bit of This and That. Explosion boxes are so fun! 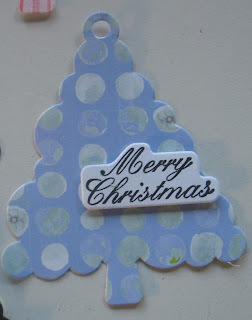 There are so many different ways to decorate them with your favorite stamps and dies. 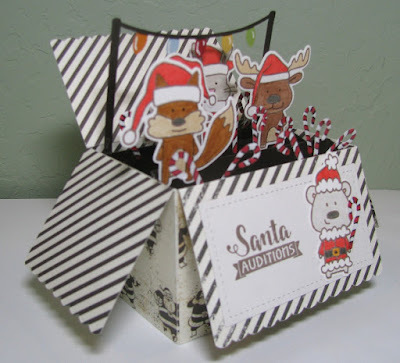 You can see what I used at Just A Nutter Paper Crafter. 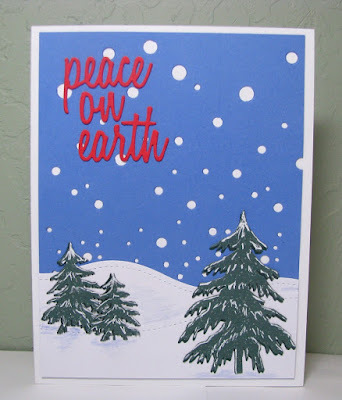 Monika here to share my Christmas card with you today. Please contact us at thedcdivas@gmail.com so I may submit your email to Bugaboo. Congratulations! 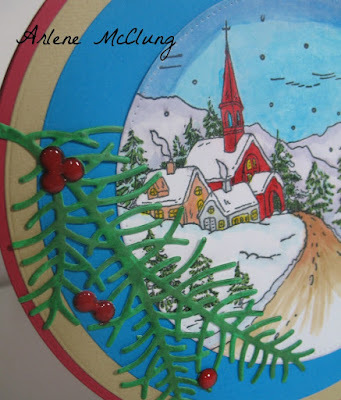 Arlene's favorite is #24 Ingunn's card. 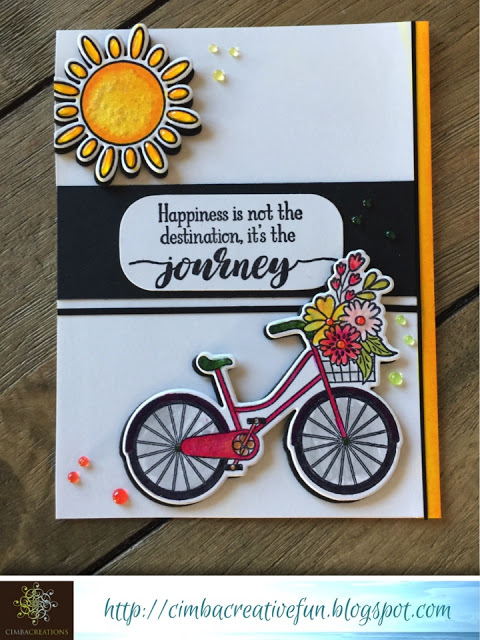 The background reminds me of the summer sun and using a silhouette on that background was perfect. Cathie's favourite is #47 KartenKram, this duck is adorable and I love how she has created the wave effect in the background. 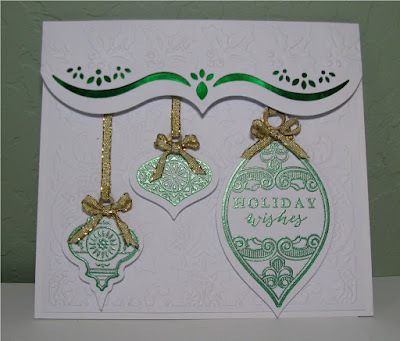 Wonderful cards and so hard to choose a favorite for all of us at Die Cut Divas. 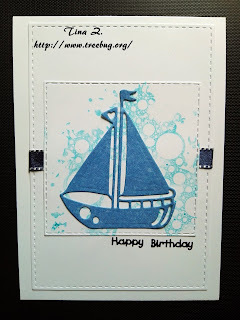 Welcome Frantic Stamper for July!